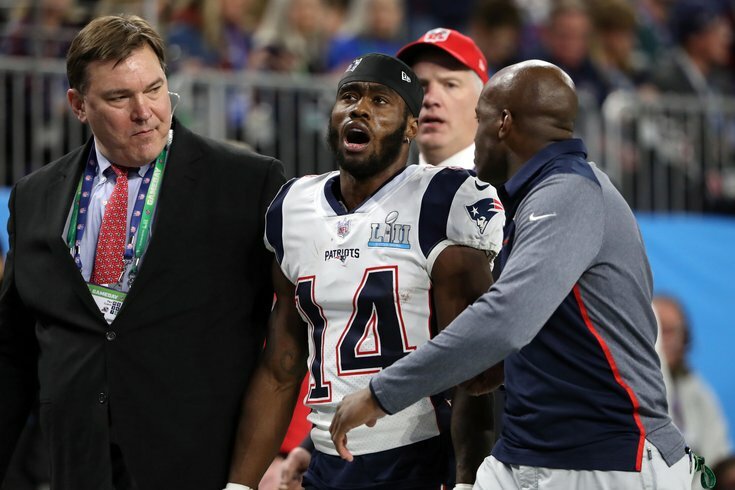 Will the acquisition of Brandin Cooks put the Rams over the top? Remember the old days when Philadelphia Eagles fans didn't pay much attention to the "other" teams in the NFC outside of the NFC East? Ah, memories. Well, now that the Eagles are Super Bowl Champions, and thus the hunted instead of the hunters, it's beginning to make sense to look around at the rest of the conference from time to time at some of the teams gunning for the Eagles. That's awful, frankly, considering Cooks is due to become a free agent next offseason, playing on his fifth-year option in 2018, and he'll cost $8,459,000 on the Rams' cap in 2018, or 5.4 times as much as he counted on the Patriots' cap in 2017. Based on the two graphs above, it's a pretty good bet that Cooks is going to get a contract north of $16 million per season, as only Mike Evans has clearly better numbers. In other words, the Rams are spending major resources on Cooks in the form of draft capital and cap space. If you dig even deeper, you might make the argument that the Rams actually spent first- AND second-round picks, as well as a good cornerback on Cooks. Like they did with Cooks, the Rams traded for a player in Watkins who was in the final year of his contract, without having first worked out a contract extension with him. That came at a high cost, as you can see above, as Gaines is a good cornerback, in addition to a second-round pick. After just one season with the Rams in which he was fourth on the team with 593 receiving yards (though he did lead the team with 8 receiving TDs), Watkins walked in free agency for the $16 million per year deal noted in one of the graphs above. That is simply horrendous overall value. The Rams have become something of the talk of the NFL with all the high-profile acquisitions they have made this offseason. They added Ndamukong Suh, Marcus Peters, Aqib Talib, and now Cooks. All four players are very talented, and they all come with personality concerns. They've also parted with Robert Quinn, Alex Ogletree, Watkins, their first two picks in the 2018 NFL Draft, and their second-round pick in the 2019 NFL Draft (for Peters). The Rams are pushing their chips to the center of table this offseason, going for a Super Bowl, and they aren't being subtle about it. Personally, I respect the aggressiveness, but the Cooks trade is in no way an impressive acquisition, based on the cost.